Aging in a healthy, graceful way is a topic on the minds of many people over the age of 30. One way to accomplish this end is to adopt a healthy lifestyle that includes maintaining your body, mind, and spirit. Dermal fillers are part of a process that is philosophically aligned with an anti-aging lifestyle. While you can’t turn back time, you can fight back with dermal fillers that reverse the signs of aging by diminishing fine lines and wrinkles. As you age, your face loses subcutaneous fat, which is located directly under the skin. Your skin also stretches, which can accentuate wrinkles, lines, and the loss of volume. Dermal fillers are minimally invasive injections that restore the volume and fullness in your face. These fillers are most often used to plump thin lips and enhance shallow contours, as well as soften facial creases and remove wrinkles. Depending on the quantity and type of filler used, results can typically last from 6 months to about a year. Dermal fillers are sometimes confused with, but are different than, Botulinum toxin injections (Dysport or Botox). These are also an injectable wrinkle treatment, but work in a way that stops the muscle movements that result in wrinkles. Restylane is made from biodegradable, (non-animal) hyaluronic acid, a substance found in the skin that naturally provides volume. Hyaluronic acid slowly declines with age. Using this type of filler replenishes this natural element within your skin. Restylane treatment lasts up to 9 months to a year, which means you’ll need fewer treatments than with collagen or Botulinum injections. With maintenance touch-ups once every 6 to 9 months, Restylane can last up to 18 months. Some of the Restylane products have lidocaine, a local anesthetic. Lidocaine is included in these fillers to help reduce discomfort both during and after treatment — a definite plus. With the addition of lidocaine, 72% of Restylane-L patients reported significantly less pain during treatment and 95% of Restylane Lyft-L patients reported significantly less pain during treatment. You will need very little down time with either Restylane-L or Restylane Lyft-L dermal fillers. You will be able to return to work and resume your normal activities right after your treatment. Your only restrictions will be to stay out of the sun and refrain from strenuous activities for the first 24 hours. Restylane Silk is specially formulated with smaller particles which make it the right choice for thin lips and vertical lines above them. 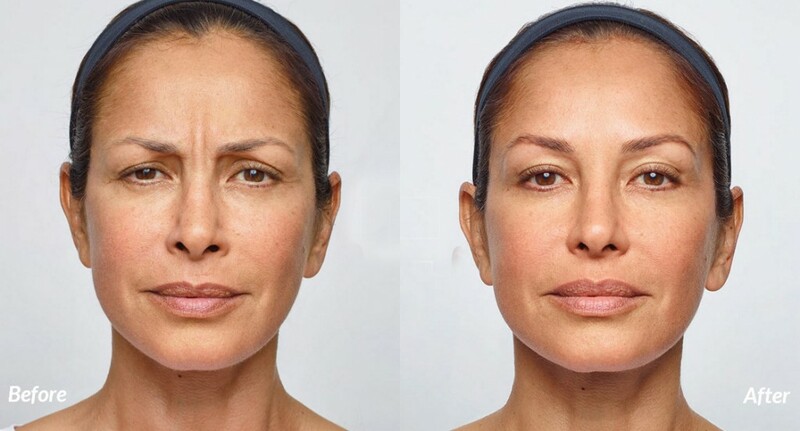 Restylane Lyft, formerly known as Perlane, is the first and only dermal filler approved by the FDA to provide lift and volume to cheeks and correct nasolabial folds. When you receive treatment, the entire process takes anywhere between 15 minutes to one hour, depending upon the number of areas you are going to have treated. Always remember to use sunscreen daily since it helps preserve the integrity of your dermal filler. Anti-aging treatment with dermal fillers is a safe course of action with few potential side effects, but it’s still important to choose carefully where you undergo this treatment. A doctor’s office can be a cold, impersonal, uninviting place when it comes to an anti-aging procedure. On the other hand, you can be pampered in the comfort of a qualified spa, such as BioVital MedSpa in Weston, Florida. Biovital MedSpa was started by a woman for women. Our aim is to provide a wide range of preventive and corrective face and body care services within a warm, caring setting. From Restylane-L, Restylane Lyft-L and Restylane Silk dermal fillers to other services such as a full line of skin care facials and medical peels, laser skin tightening, sublative rejuvenation, permanent makeup, and laser hair removal, BioVital MedSpa has the right combination of credentialed aestheticians and a soothing environment to provide you with both confidence and comfort. Your skin is your body’s largest organ, so treat it right — especially the precious skin on your face and hands. Keep your skin vital and vibrant! Whether you’re just starting to notice signs of aging or have been trying your best to find home-based solutions that work, BioVital MedSpa runs special promotions regularly, so why wait? Here’s an easy and inviting way to begin your anti-aging beauty regimen now, so there’s no reason to postpone or even rule out visiting a spa . Make your appointment for a BioVital MedSpa treatment today.